Two things around the intenet that seem to fit together. Secondly, I’m in a book! 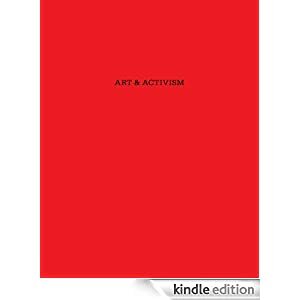 Edited by Silent City, Art and Activism is a book of texts and page-based interventions on the role of the arts and their connection (or lack of) to activism. It contains a version of Give Up Art, an essay / performance / argument I wrote last year based on the classic Give Up Activism. You can read about the new book at Amelia’s Magazine, and buy it at Amazon or iTunes (I didn’t pick the platforms). It’sonly a fiver, and has 20 brilliant bits of writing in it, plus me.